Diamond Eternity Band with 0.30 carats total diamond weight (just over 1/4 carat) set in 14k white gold. Sizing area is smooth on small portion of the back of ring in case you need to re-size your ring at a later date. 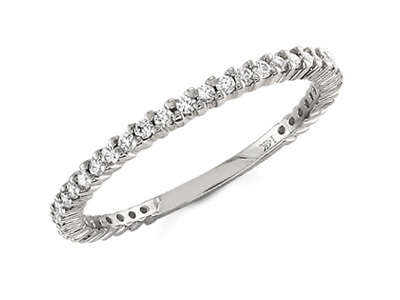 We guarantee our Diamond Eternity Band, 0.30 Carats, 14K White Gold to be high quality, authentic jewelry, as described above.